The VeDiLiSVehicleDischargeLightingSystem commenced in 1988 as a EUREKA funded European project to spearhead the extension of electric discharge lamps into automotive applications. The aims of the project were to deliver better road lighting for safer night-time driving, and won the support of automotive manufacturers because of the superior performance, considerably lower power requirement and the dramatically enhanced lamp lifetime which effectively matches the life of an average vehicle. The lamp shown here is the second commercial embodiment of the technology. The first design, type D1, was equipped with flying leads for permanent integration into the vehicle - an apparently sensible idea in view of the fact that the lamp should outlast the life of the vehicle. However it soon became clear that accidents and damage to the headlights required that an easily replaceable lamp be developed. 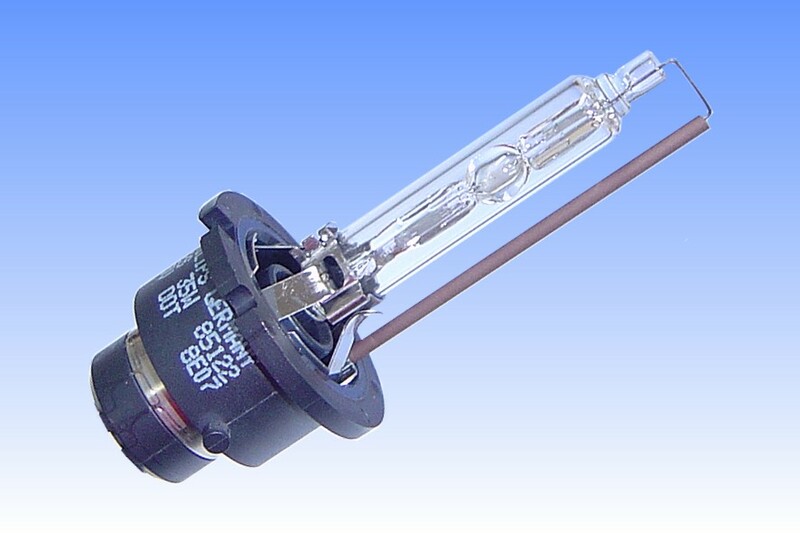 Of course a new base type was necessary, to meet automotive regulations while also withstanding the typical ignition pulse of 23kV that is necessary to hot-restart these lamps. 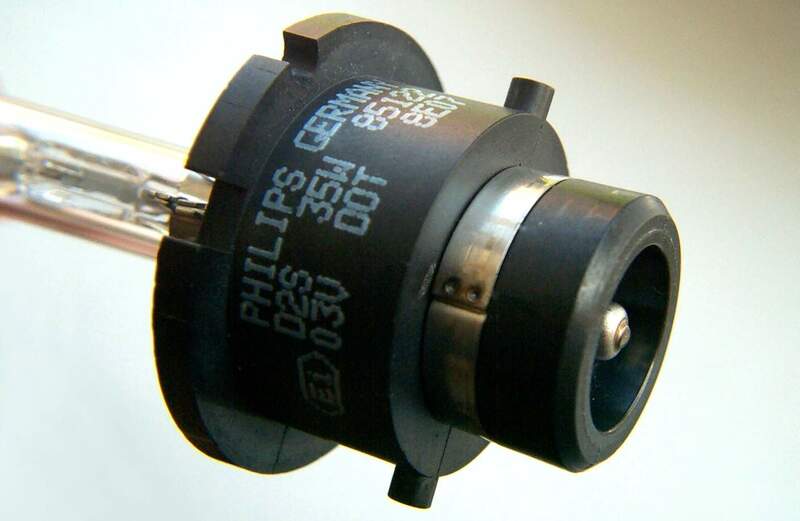 The result is the D2 lamp equipped with the P32d base, illustrated here. 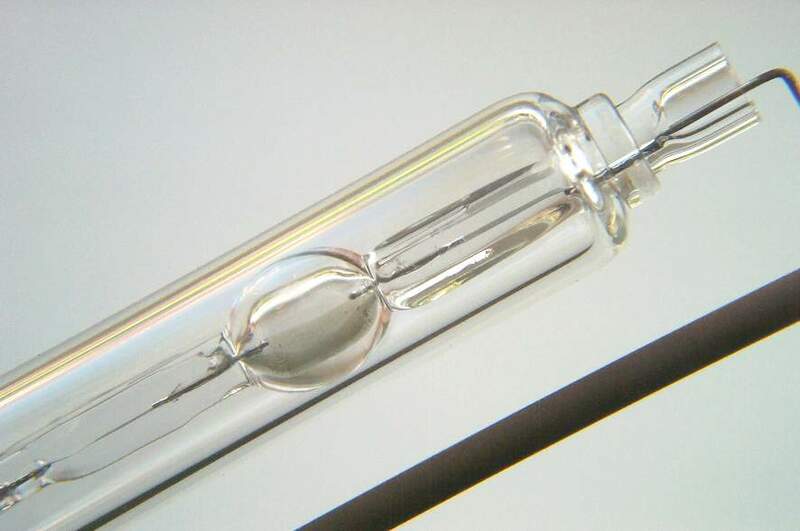 It features heavy insulation between the co-axial conductors, which minimise electromagnetic radiations emanating from the high frequency ~400Hz signal supplied to the lamp during normal operation. 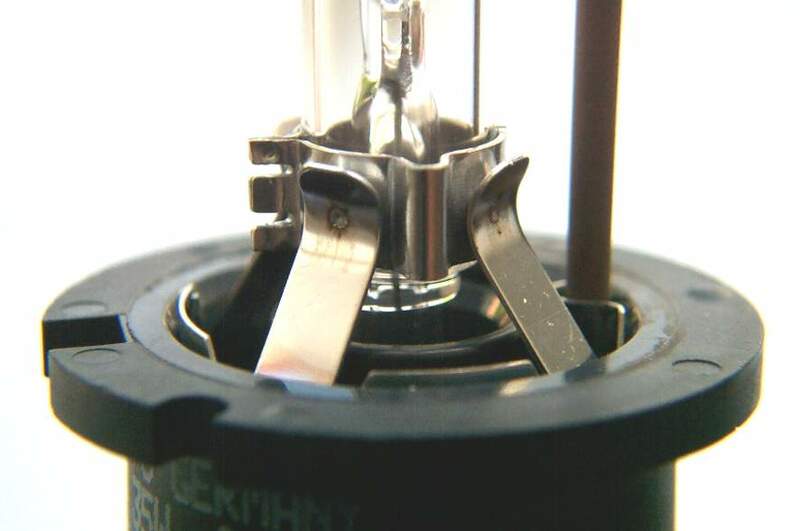 Two formats of D2 lamp have been developed. 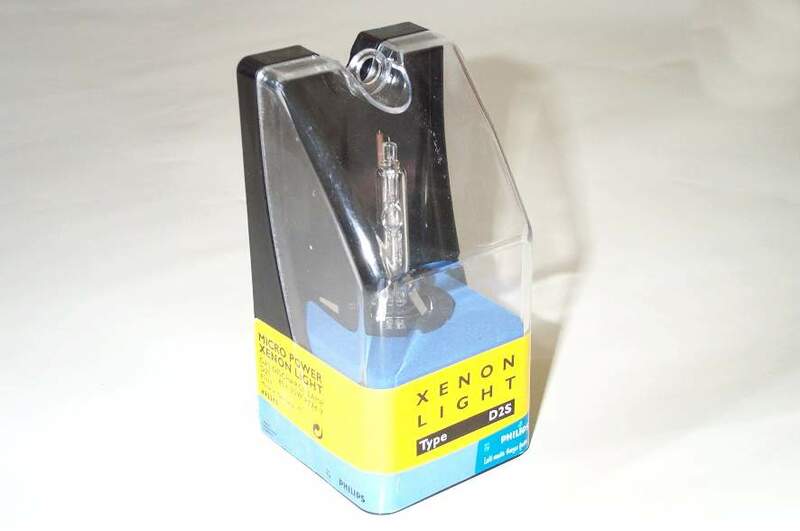 Type D2S (here) is for use with projection optics. Type D2R has a black stripe over part of the outer jacket, and is for use with reflector optics, the black stripe helping to achieve a sharper cut-off at the beam edge, reducing stray light and glare.